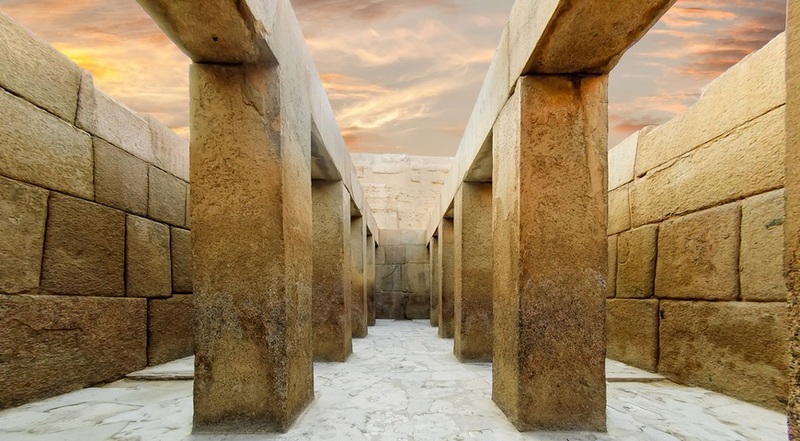 Discover one of the seven wonders of the world Giza Pyramids for one day trip to Pyramids from Cairo airport accompanied by a private Egyptologist tour guide and A/C car, enjoy witnessing the Great Sphinx, and discover the hidden secrets of the Egyptian Mummification process in Valley temple. Book now!!! This map has been created to explain the rotation of the trip. -Tour Location Will Be In Cairo. -Tour Duration for 1 Day. -Pick up Point and Drop Point Will be at Your Hotel or Cairo Airport. We will pick you up from Cairo airport or your hotel to enjoy a breathtaking day trip to Pyramids from Cairo. The first thing that you will visit is Giza Pyramids, where you will find the three great pyramids of Giza, The Great Pyramid belongs to (King Khufu) and then his son (Khafre) built another pyramid near the Great Pyramid and then, (Menkaure), the sixth ruler of the fourth family, built the third pyramid, then many other Egyptian pyramids that were built after the pyramid of Menkaure, but these pyramids were much smaller than this one. The construction of the pyramids dates back to the fourth family that ruled Egypt 4000 years ago, then move to visit The Sphinx which dates back to the time of King Khafre, your day trip to Pyramids from Cairo also includes a visit to the Valley temple, which was used for the mummification process. You will stop to have your lunch at a local restaurant, then head to Saqqara the step Pyramid of (King Zoser) which is considered the first Egyptian Pyramid. Afterward, move to visit Memphis City an ancient Egyptian city which is among the world heritage sites, founded in 3200 BCE by (King Narmer). It was the first capital of Egypt in the era of the ancient state (era 3-6). It was the center of worship of (The God Ptah) and it's currently located near Saqqara area 19 km south of Cairo and was known as the "White Wall" until the twenty-sixth century BC, then the Egyptians called it «Nafer» and the Greeks changed the name into Memphis. Finally, you will be transferred back to your hotel or Cairo airport to end your day trip to Pyramids from Cairo. Note: If you can't find what you are looking for, then check our Cairo day tours and choose your dream vacation. Mineral water on board the vehicle during the tour . Any extras not mentioned in the itinerary .